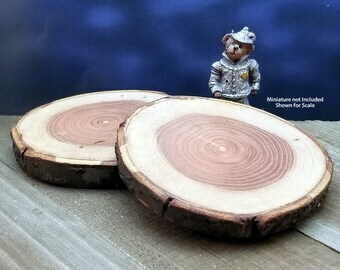 Announcement Find amazing Natural Wood Display Bases for mini dollhouses; home decor; crafting; and to base your fantasy, steampunk, sci-fi or wargaming miniatures. 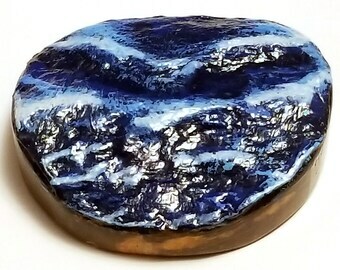 We also create Specialty, Handcrafted Display Bases that come pre-painted and ready for your miniature to be added. See a base you like but want something slightly different, let us know and we can custom make it for you. 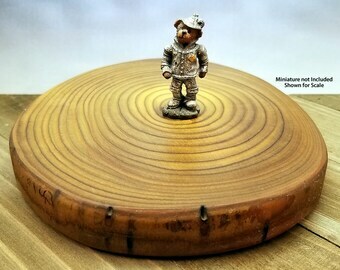 Find amazing Natural Wood Display Bases for mini dollhouses; home decor; crafting; and to base your fantasy, steampunk, sci-fi or wargaming miniatures. We also create Specialty, Handcrafted Display Bases that come pre-painted and ready for your miniature to be added. See a base you like but want something slightly different, let us know and we can custom make it for you. Very pleased with my purchase. Shipped quickly. Thank you! just as described and prompt shipping. Thanks! Everything was perfect! These will be perfect for my miniature displays. Thanks so much! Kagunk will smash this poor fighter who just wants to admire Kagunk's cool Oak base. Flames made from seasoned oak and finished with teak oil. The sides are painted to look like anthracite. Really like natural wood for basing miniatures. I found some finished pieces on display at a local farmers market that I could use to display my miniatures. I worked with them to bring the product to the Interwebs and tap a new market for our product. We pull wood from tree removals both private property and marked trees for forest health as well as tree surgery. We also take dead fall and other sources of wood, including scraps from other projects, like cutting boards. From there the gang sands and finishes the pieces for sale. Currently, we're cherry picking specific pieces to showcase but hopefully we'll be able to add more and more if interest increases. If you are not happy with your item, you must contact us within seven days of the receipt of the item. If you wish to return it within that time frame, we will accept returns, if the item has not been opened or used, minus the shipping cost and a 20% restocking fee. If a package is refused or returned to us, we will refund the item cost minus the shipping and restocking fee. All orders are processed twice to insure that the order has been processed correctly before shipping. If an error has occurred we will attempt to replace the item(s) as necessary and availabilities. We are not responsible for damages occurring during transport of our merchandise or via handling by customs. See insurance policy above for details on what's available. Payment is through Etsy's system and they allow for credit and debit cards, Etsy Gift Cards, as well as other International Payment options. As required by U.S. Federal Law, we collect taxes from those online orders originating from our home state, New York. We frequently include bounce back coupons with a purchase, but these are for our main website, markshirestudios.com. We’ll ship domestically and internationally at regular prices and where law doesn’t prohibit the transport of our products. We use "Calculated Shipping" with exact ounces and sizes entered combined with box sizes for packing. Choose from the provided options for your cart. We cannot control or guarantee delivery times due to the speed of the various USPS processing points and local carriers that your package goes through. Should a package be returned to us because a rejection/non-acceptance from the buyer, we will refund the cost of the order minus shipping fees and a 20% restocking fee. We try to supply delivery confirmation for tracking purposes on all orders. To help with this we supply the e-mail address of the order to the USPS for notifications. Insurance is limited to Priority Mail packages. Want insurance for up to $50 within the United States, choose Priority Mail. Priority Mail insurance for International Packages varies depending on location. No additional options for insurance are available at this time. We do ship internationally. We use "Calculated Shipping" with exact ounces and sizes entered combined with box sizes for packing. Choose from the provided options for your cart. Please note that first class shipping is offered as a courtesy to our customers. First class mail can not be tracked and can take 1-6+ months to arrive depending on the country. Because of the long delivery times, first class shipping is "at your own risk" and packages will not be replaced. It is highly recommended that, to reduce loss, internationals use Priority Mail. We accurately mark package contents on the custom forms as required by US law, which also means we can not mark your package as a "gift", "sample", lower value than what you paid or with any labeling that allows you to avoid taxes. This is a violation of US Customs Laws and we can face a large fine. International buyers are not subject to US taxes, but all customs, VAT or other fees levied by your country are the responsibility of the buyer. Should a package be returned to us because of customs or rejection from the buyer, we will refund the cost of the order minus shipping fees and a 20% restocking fee. If you have questions, please start a conversation with us.